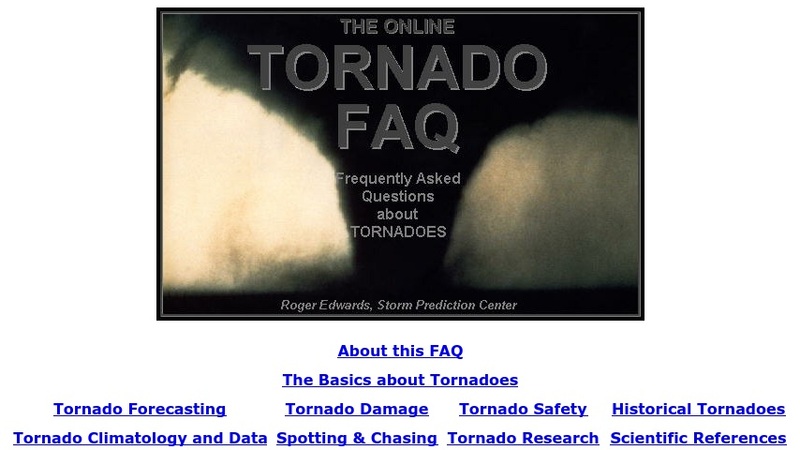 This site provides answers to frequently asked questions about tornadoes. The questions are grouped into the following categories: the basics about tornadoes, tornado forecasting, tornado damage, tornado safety, historical tornadoes, tornado climatology, spotting and chasing, tornado research, and scientific references. Information on related concepts is linked within each section and can also be accessed via a clickable index of terms.